In a Spanish village three young people have retreated. They are dissatisfied with how things work here in the Netherlands and they decide to build self their own community in the Spanish countryside. 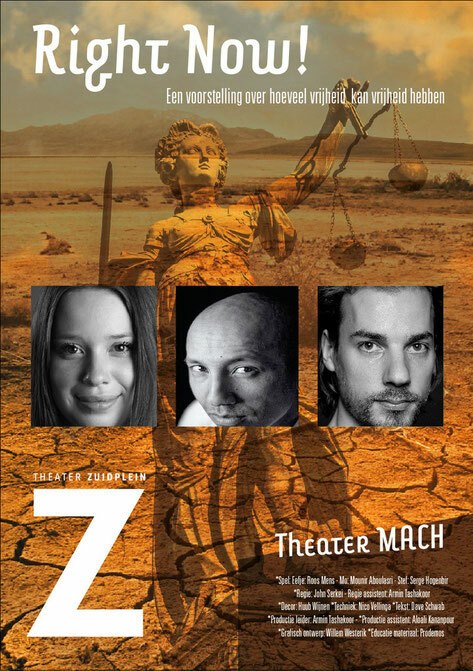 *Regie assistent/ assisten director: Armin Tashakoor. *Productie leider/ production manager: Armin Tashakoor. *Grafische ontwerp/ Grapic design: Willem Westerik. Première; 16 april 2015 in Zuidplein Theater Rotterdam.